It’s the day she dreamed of since she was a little girl hanging a pillowcase off the back of her head. So much thought has been put into this one event…not to mention dollars. Each detail is carefully planned from the way the wedding party stands to the meaning behind which flowers are in the brides bouquet. 1. Consider what you’re doing and what it means. A wedding is not a funeral. Some couples choose to use what is called a unity candle. 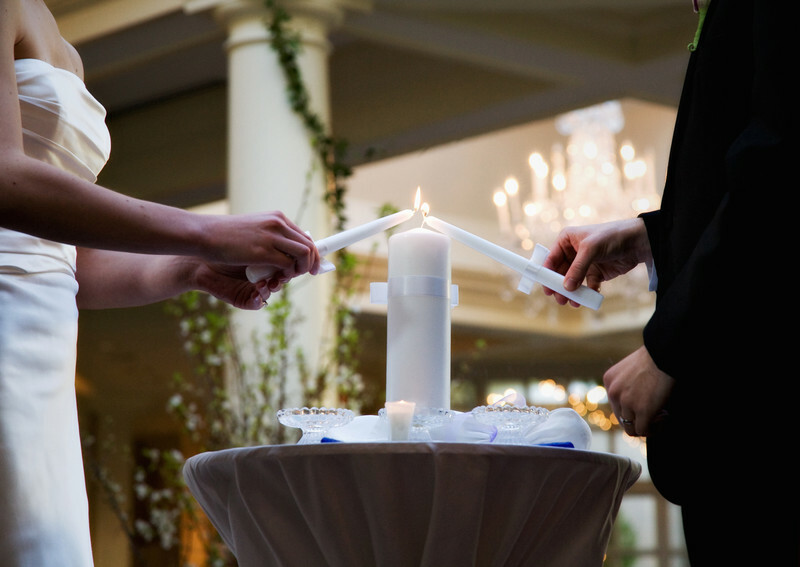 After each of the mothers light an individual candle, the bride and groom use these flames to simultaneously light the center candle, called a unity candle. THEN THEY BLOW OUT THEIR OWN CANDLE as if to extinguish their own life and live solely as one! The idea of “becoming one” is not the issue. It is a good and beautiful thing as “two become one” in marriage. This is part of the reason we do choose to marry, because it feels good to be unified with another person. We are created for this kind of secure connection. Something deep inside of us longs to share our lives with another person in perfect harmony. Consider how two ice skaters move together in perfect symmetry. It appears they are the same in mind, body and soul…and this beauty somehow dismisses, however temporarily, the loneliness that tends to linger from time to time. Even happily married folks feel lonely sometimes. Do NOT promise to make each other happy! Sometimes when couples choose unique vows they will commit to make their spouse happy saying “I promise to make you happy…” This is simply not possible. A wife cannot be made happy by her husband unless she chooses to respond with happiness. Most people get married because they believe it will make them happy. It is true, sometimes being married can improve one’s happiness, but it’s because they are two people who know how to create and experience happiness as individuals. #3. Present yourself to your spouse with presence. Don’t let the guests matter more than the groom! I made this mistake when I walked down the aisle 17 years ago. Opting against the traditional, “Here Comes the bride,” I had chosen and carefully choreographed coming down the aisle to the Triumphal Wedding March from the opera Aida. When I walked down the aisle it was more like walking the red carpet. A theater person in my former life, I didn’t mind being the center of attention. The problem was I forgot to first make eye contact with my soon-to-be husband who was so anxiously waiting for me to join him at the altar. Instead of connecting with him, I smiled out at friends and family and even reached out to touch a few. My eyes did meet his as I got closer to the front, but he wished I had focused on him sooner. Luckily, it didn’t make any difference in the long run…since he is still the love of my life! The opposite can also cause a lack of connection with groom or wife. Most people actually feel quite uncomfortable being the center of attention and are so overwrought with anxiety that they miss some of the magical moments. Filled with worry and insecurity, the time seems to either drag on forever or becomes just a huge swift blur. The anxiety of all the eyes of the guests steal the joy and gift of the present moment. 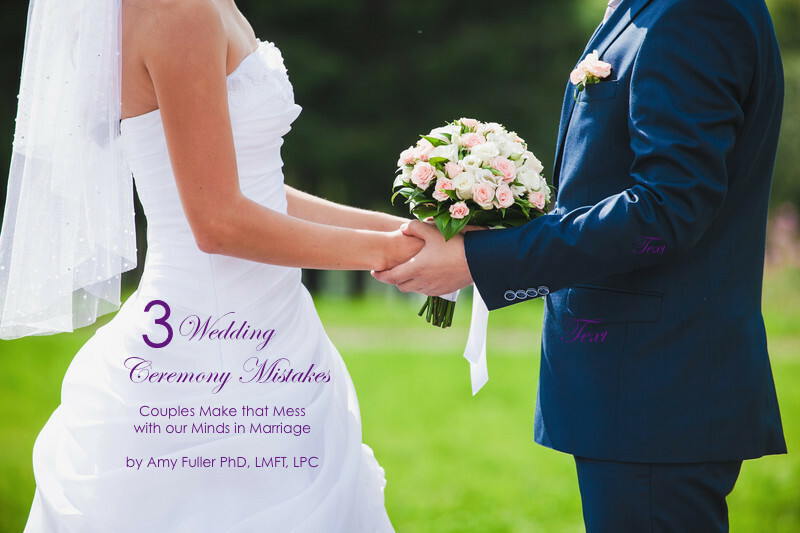 Luckily, most brides and grooms have videos of the ceremony so these particular moments remain present over the years. Sometimes, brides and grooms are simply distracted. It’s easy to get caught up in the details and miss what really matters. With so many details to attend to it is important for brides and grooms to remain present with each other during the ceremony. This means maintaining eye contact, especially during the vows. Being present means practicing mindful awareness during the event itself…being in the moment with your spouse instead of in the moment with your wedding planner. So whether you are getting married soon or in the day-to-day of marital life…do yourselves a favor and give yourself and your partner a present as you present yourselves to each other with presence. 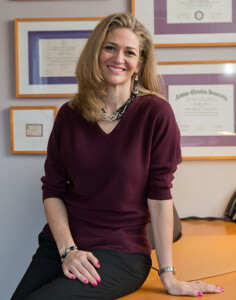 Dr. Fuller offers pre-marital counseling at her private practice in Houston Texas. A discounted premarital therapy package is also available through Fuller Life Family Therapy.